For a few years before the Calgary area real estate market burst in late 2007, I saw quite a number of "flipped" houses. Now that selling prices are somewhat low again and the market is somewhat starting to turn around, I have been seeing more and more properties hitting the market that have obviously been "flipped." Some of them are even trying to get early-2007 prices! Some of these homes end up in transactions that have a degree of irritation with the investor-owner who operates with a "bottom-line" mentality; others have been like a continuing bad dream. 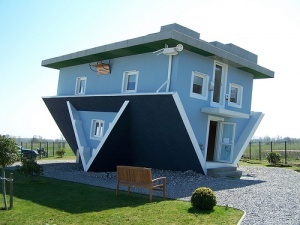 A "flip" is a distressed property that is bought by an investor below market price. The investor then invests minimal dollars in "fixing up" the home and then tries to sell at market price. The problem is: how much the investor spends on improving the house. I'm sure you've seen them on the market - they're called "fixer-uppers" or sometimes just "fixers." Buyers - listen up! Typically, investor-flippers spend most of their money on cosmetics (the lipstick and mascara approach) such as new kitchen counter tops, "designer" paint; new carpet, tile flooring, or hardwood or laminate flooring; new base boards; new switch plates; new kitchen appliances; new light fixtures; or even crown molding. Sometimes they even go as far as refurbishing a bathroom or even installing granite countertops. Many times, the house shows really well and the look of newness has a really seductive influence on any potential buyer. Some investor-flippers even feel they are exempt from disclosures since they haven't lived in the property. They're wrong! If they've done a renovation without the appropriate permits, or if it has a defect that has now been covered up, they do need to disclose it to the potential buyer prior to the purchase. As a final note, buyers should expect that there will be more than a few investor-owners that are less than reasonable about responding to repair requests after home inspections that shine the light on a property's less than desirable defects. There are many really great renovation companies out there that do a truly fantastic job on rejuvenating homes. They do us all a great service in replacing or rejuvenating older or poorly maintained Calgary area homes. Just don't be buying one that has had that "lipstick and mascara treatment" without knowing it. So, as a buyer, always beware.